I have a feeling that, like me, you are viewing this Thanksgiving season with a bit more reflection, and giving pause to think about all the things you have to be thankful for. The Apostle Paul tells us in 1 Thessalonians 5:18, "In everything give thanks, for this is God's will for you in Christ Jesus." It is easy to give thanks to those things that come easily -- our family, friends, our health, our job, God's provision. But notice that Paul said everything! So, we're supposed to give thanks for the minor stuff like our aches and pains, the difficult people in our lives, the mounting bills on our desk? And, Paul couldn't possibly mean that we're supposed to give thanks for the sinful world we see all around us -- the immoral culture, the apostate Church, and the escalating evil that was so apparent in Paris last week?! Instead of focusing on all the pain and sadness and anxiety that all those things -- both great and small -- bring to our mind and hearts, wouldn't it be nice this Thanksgiving to actually put into practice the words of Psalm 95? 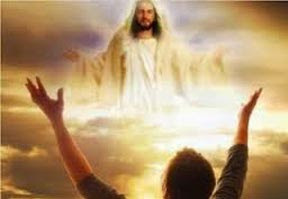 To come before His presence with shouts of joy and songs, in full spiritual recognition that no matter what is going on in our lives or in the world, He is a great God and a great King above all gods? You see, I think we tend to give thanks for all the things that we can see or have taken notice of. But when we thank Him for EVERYTHING, we begin to see Him for Who He is and all that He has done. So what does that really look like? Have you ever thought about thanking Him for all the times He said, "No", and for unanswered prayer because it not only made you depend on Him more, but humbled you to admit that He knew what was best for you? What about thanking Him for the things He withheld from you, and for protecting you from things you may never realize ... and the closed doors that may have frustrated you, when, in fact He mercifully kept you from going places He did not want you to go. Do we give thanks for the lonely times, the tears, the uncertainties, and the personal losses; recognizing that all these seasons have brought us closer to Him and deepened our trust and relationship with Him? As we gather around the Thanksgiving table this year, will we see it as more than just family, friends, and food? Will we take advantage of this one day out of the year that is designed to give thanks and dedicate it to our great God -- to the LORD who has given us an inheritance in the heavenly places, which is something greater than all the possessions of this world? Will we thank God for the greatest gift He could ever give us: forgiveness through His perfect Son's death on the cross on our behalf? This Thanksgiving, it needs to be all about HIM! We need to thank God for our eternal salvation, and for the salvation He gives us every day of our lives as He saves us from ourselves and our foolishness. We need to thank Him for His power and strength that are ours to call upon in our moments of human weakness. And for me, personally, I will thank God that I can still pray in the name of Jesus, as I dedicate however many days are left to me on this earth to fulfilling His purpose for my life in glorifying the LORD, who is A GREAT GOD and A GREAT KING above all gods! My prayer for each of you this Thanksgiving is that you will truly come into His presence; that you will experience such spiritual joy that you want to shout of His greatness and goodness in your life ... in all circumstances and in all ways. Finally, I want to leave you with an additional Scripture that will inspire you on the day we call Thanksgiving. It comes from the Old Testament, but joins with our featured verses today to give us special inspiration for the times in which we live. It is Isaiah 12:4 ... In that day you will say: "Give thanks to the LORD, call on His name; make known among the nations what He has done, and proclaim that His name is exalted." I wish you and your families a most Blessed Thanksgiving; a day filled with gratitude for all that our Great God has done, is doing, and will do in your lives. Belle, Well its about time ,don't ya think. You have been so obedient ,but even God Most High took a day of rest. You need to recharge those brain batteries and take a mental break from the perpetual evil of this world. The illuminist,satanist,haters,shooters,jihadis,academics,reprobates,media,atheist and all things anti Christ will be going nowhere anytime soon,so enjoy this downtime with your family. We will be her waiting for a new word ready to jump in and fight in the spirit war. HappyThanksgiving!!!! 2cents OAO.